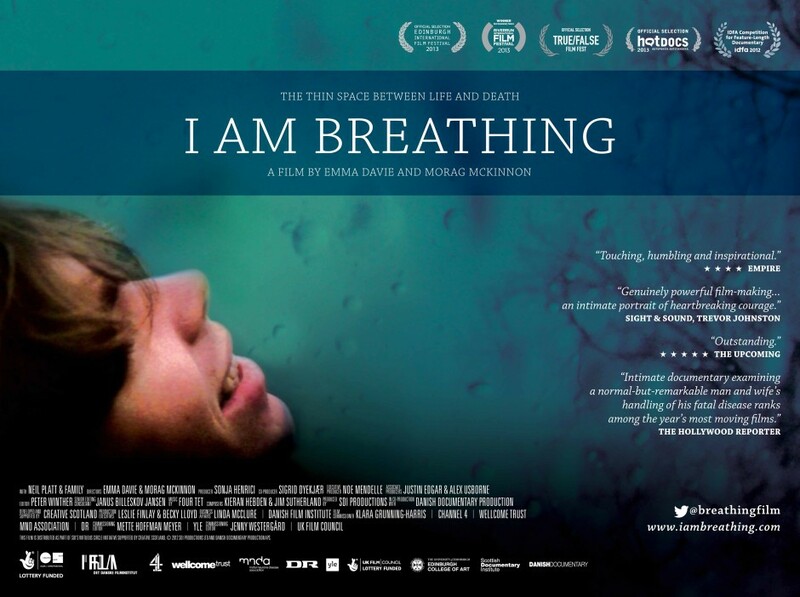 Since June I’ve been volunteering as part of the outreach team for the feature documentary I am Breathing based at the Scottish Documentary Institute. A truly valuable experience where I’ve learnt a lot about the distribution side of feature documentaries and where it’s heading. The 73min documentary directed by Emma Davie & Morag McKinnon follows the last months of Neil Platt’s life as he battles with Motor Neurone Disease, also known as ALS/Lou Gehrig’s Disease. It’s an incredibly powerful film that has been very well received globally, raising thousands to helps fight the battle against MND. There’s lots more information and reviews of the film on the website. The film is also now available to watch online. You can do so via the I am Breathing website or below.